For many of us, the workplace is one of the most dangerous places we can go each day. According to statistics, more than 100,000 manufacturing workers experience job-related injuries annually, many of them debilitating. Even more concerning, each day in the United States, 13 workers leave for work and never make it home, while more than 3 million are living with injuries sustained on the job that prevents them from returning to work. Overexertion. Improper lifting, pushing, carrying or pulling can cause debilitating injuries at work, and is not only the top workplace injury but also the most expensive one. According to Liberty Mutual, in 2012, overexertion injuries cost more than $13 billion in health care costs, lost work time and insurance claims. Slipping or tripping. Falling on wet, slippery floors or tripping over an obstacle can cause debilitating injuries. These injuries are more common in states with heavy ice and snow in the winter. Falling objects. Protective gear is vital in areas where falling hazards are present, but that still may not prevent an injury from occurring. Falls. Falling from a roof or ladder or down a stairway ranks as the fourth most common work-related injury, according to Liberty Mutual. Reaction injuries. These injuries occur when you catch yourself from falling, but experience muscle injuries or other trauma in the process. Vehicle accidents. Those whose work includes driving face the risk of auto accidents every day on the job. Impact with a machine. Getting tangled in machinery, either via clothing, hair or your hands can cause disabling injuries or death. Staying alert on the job can help prevent such injuries. Impact with an object. Walking into walls, doors, tables, machinery and other equipment can cause a wide range of injuries including head, neck or knee damage. Repetitive motion injuries. If you spend all day doing the same thing, muscles and tendons can become strained, causing lasting pain. Contact with a dangerous substance. Exposure to toxins – paint that gets into your lungs or chemicals that cause burns, for example – is a common injury, particularly in the manufacturing industry. If you are hurt at work, you likely have a lot of questions regarding your future, including what money will replace your paycheck if you’re unable to go back to work. In order to secure your future, it’s important to take the right steps following a workplace accident. Honesty’s the best workplace injury policy. The process of receiving workers’ compensation in Illinois can be complicated, and you’ll likely find yourself telling your story over and over again. In order to ensure that inconsistencies that could impair your case aren’t present, it’s vital that you’re honest about how the injury happened from the start, so your story remains the same throughout the process. Be honest with your attorney, as well, so your legal team can represent you in the best way possible. Report your injury immediately. Waiting until you feel injured is one of the worst things you can do in the case of a workplace injury, not only because it can raise questions about where the injury really occurred, it can also cause your case to be denied if you report past the 45-day notice required by the state of Illinois. Not only should you tell your supervisor, but you should also report your injury in writing so it is officially documented. See a doctor. In order to prevent your injury from doing more damage and to have documented proof of your injury, it’s important to see a doctor. Workers’ compensation insurance covers the cost of treatment if that treatment is deemed related to the work injury. Write down everything. In addition to filing a written report about your injury, keep a diary that describes exactly what happened, lists witnesses and details the process you went through when you notified your supervisor and your company’s insurance carrier. Keep track of health-related issues such as improvements or impairments related to the injury as well. The diary will serve as a written record, and will ultimately be more reliable than your memory if your workers’ compensation case becomes complex. Hire the right attorney. 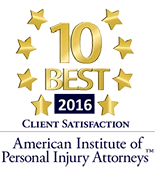 It’s important to have an attorney with experience in work-related injuries in order to navigate the complex territory successfully. An experienced lawyer will know the right steps to take to guide you so your case is more likely to have a successful outcome. 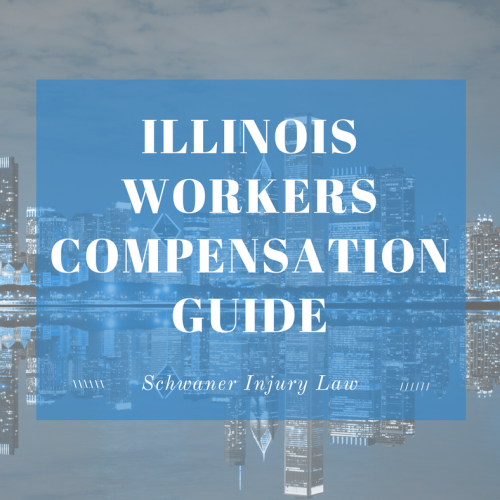 Attorneys with workers’ compensation experience likely have developed a rapport with members of the Illinois Workers’ Compensation Commission, which will also be beneficial. Keep your attorney in the loop. Communicate with your lawyer regarding any changes in your case, such as changes to your health and feelings of well-being. Your attorney will be able to refer you to specialists if you need them, including psychiatrists or therapists if you experience symptoms of post-traumatic stress disorder related to the incident. Get immediate treatment. If you’re injured on the job, delaying treatment can not only exacerbate an injury, it could also give your employer’s insurance company leverage to dispute when and where the injury actually occurred. Getting immediate treatment makes it much more difficult for an insurance company to claim that the injury occurred anywhere other than on the job.